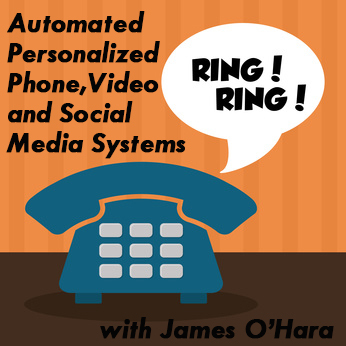 Today my special guest on the podcast is James O’Hara, co-founder and of Extended Data Solutions. James is an expert in automated phone calls, otherwise known as robo-calls. Not only does James have a way to doing robo-calls that gets people to actually listen, but he also knows how to use video and social media to help your campaign. Whether you are a candidate for local office, a political campaign manager, or a political activist, personalized phone, video, and social media systems can help you get your message out to voters in a quick and cost-effective way. Listen to this podcast to find out how these automated systems can help you achieve your political goals. Extended Data is offering a 15% to new subscribers to their personalized systems by using the offer code “Commonwealthy”. This is an affiliate link in which Commonwealthy will be paid a commission if you buy Extended Data’s services. There is no additional cost to you. Commonwealthy only chooses companies we have experience with and believe in. James O’Hara, co-founder and vice president of sales at Extended Data, is responsible for Extended Data Solutions product strategy, business development and customer relationships. James has pioneered several variable data video and voice contact concepts and has provided consultation to the many Fortune 500 organizations and national political organizations. He is a sought-after speaker on the topics of variable data media communications, voter relationship management and business intelligence. Mr. O’Hara holds a Bachelor of Arts degree in Political Science from Northwestern University and began his career in consumer packaged goods for Proctor & Gamble and the Clorox Company. In the early 90′s, he co-founded 4SA, Inc., a national customer relationship management firm which was later acquired by a leading Application Service Provider. This entry was posted in Podcasts and tagged automated phone systems, robocalls, social media. Bookmark the permalink.